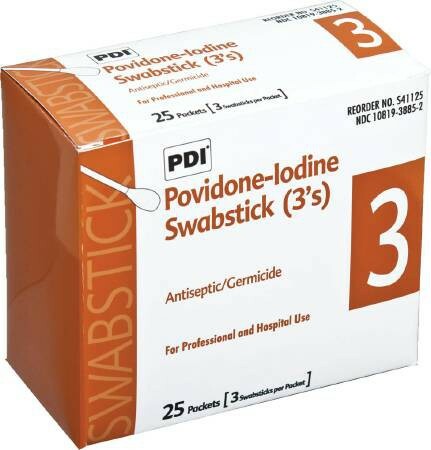 Povidone Iodine Prep Swab sticks BUY Germicidal 4 Inch, 10% USP Povidone, S41125. 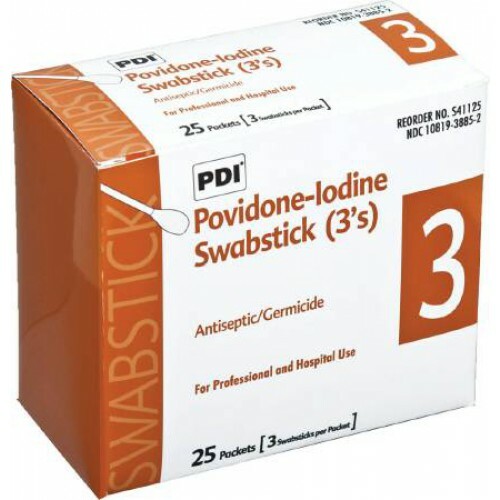 Povidone Iodine Prep Swabsticks – 4”, 10% provides much longer germicidal activity than ordinary Iodine solution and is nonirritating and virtually non-stinging for better patient comfort. Prep Pads saturated with a 10% USP Povidone-Iodine prep solution (equivalent to 1% available Iodine) to provide proven antisepsis. what is the dry time for this product? Depending on conditions, dry time can vary from 30 seconds to 3 minutes. This information comes from the manufacturer.